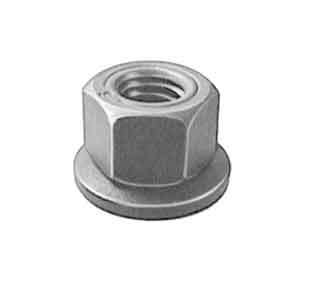 SS Large hex nuts, 304 stainless steel hex nuts supplier in India. 310 SS hex nuts, structural nuts, 304 stainless steel hex nuts exporter in Mumbai. 100% pure quality 330 stainless steel hex nuts, large diameter hex nuts & double hex nuts. 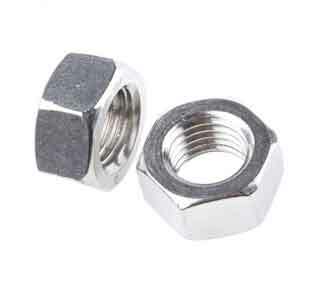 Stainless Steel Hex Nuts are one of the most common nuts available in the market. Large Hex nuts are used with anchors, screws, bolts, threaded rods, studs and on any other fastener that has machine screw threads. 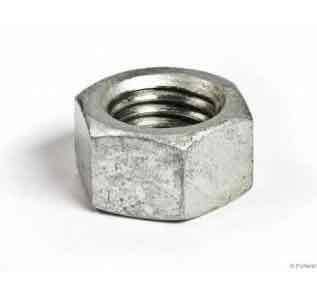 Hex nuts are also known as Hexagonal Nuts, they have 6 sides. Threads of hex screws including 310 SS Hex Nuts are standard right-hand and Unified inch coarse series or Unified inch. Sizes of 316 Stainless Steel Hex Nuts range from 1/4" to about 2 1/2". Size is usually specified in inches, fractional rather than decimal. SAE J995 Mechanical and material requirements for steel Hex Nuts. Low price 316 stainless steel hex nuts, thin hex nuts, heavy hex nuts & din standard hex nuts. #1 Renown steel factory manufacturing black hex nuts, unc hex nuts & reduced hex nuts.